Email marketing is the act of sending a commercial message, to a group of people, using email. Every email sent to a potential or current customer could be considered email marketing. It usually involves using email to send advertisements, request business, or solicit sales or donations, and is meant to build loyalty, trust, or brand awareness. Email marketing has evolved rapidly along with the technological growth of the 21st century. However, the heart of email marketing remains the same. It is about providing customer-centric experiences. 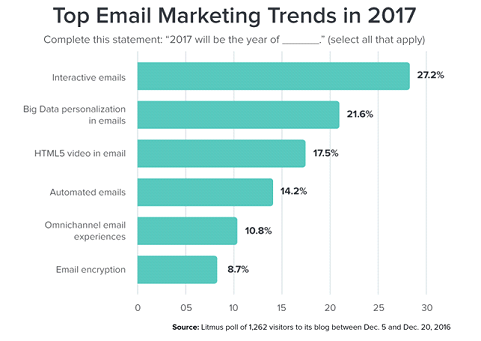 what do you think could play a bigger part in your email marketing strategy in 2017? Chatbots to run e-commerce email marketing, they’ll run automated workflows; send confirmation emails, abandoned cart emails, create newsletter sign ups, all personalized with data from the chat session. Shorten your Emails, according to 2016 research, the sweet spot for email length was between 50-125 words for optimal effect. With less space and minimal attention spans, expect email content to get shorter. Eye-tracking is Back, eye-tracking is now being used for testing email creative. It uses focus groups with real end users. Thanks to more affordable hardware, it’s now possible to run fast and inexpensive email eye tracking tests. Real-Time Contextual Email Marketing Solutions, content will be based different sources including, for instance, geo-location, device, weather, time, (twitter) trends and stock levels. Based on real-time variables the emails will be generated at moment-of-open. Predictive Lead Scoring to Improve, More businesses choose to have integrated models that are employing Machine Learning and Artificial Intelligence to generate lead scores automatically. This is what we call predictive lead scoring. Conversational Tone To Increase Readership, a casual conversational tone will help your customers better relate to you and by extension to your brand, thus, creating a personal connection. Machines will match Subscribers with Content, segmentation and personalization produce better-targeted emails but are often too time-consuming. With so much data and content, marketers will look to machines for content matching. Marketers have embraced personalization driving most of the content in emails. However, Big Data personalization is so complex and involved that it’s never likely to be a huge trend in any particular year. Instead, it’s probably truer to say that we’re in the half-decade of Big Data personalization. Video in email is straightforward and easy for subscribers to understand and for that reason is likely to be a catalyst in making both marketers and email users more receptive to other forms of interactivity. Email marketing can be an extraordinarily cost-effective solution. 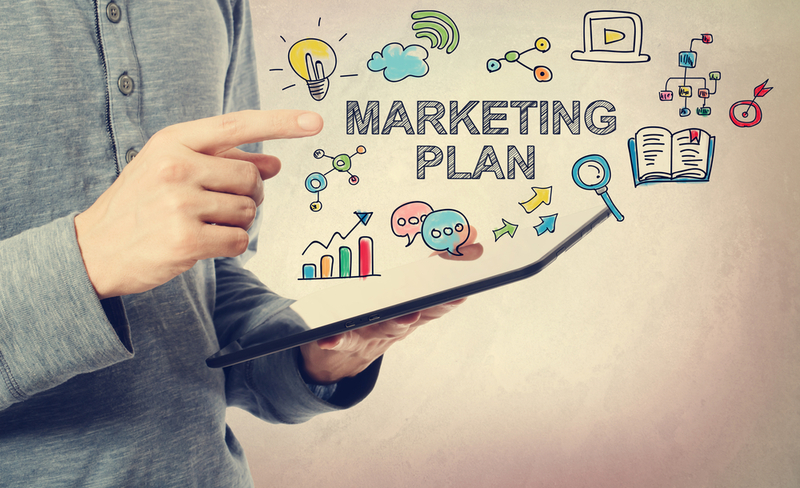 It allows marketers to take quick action, assess their results, and improve their campaign’s performance over time, all with very little resource investment. To fully take advantage of your email marketing efforts you will need to make sure your email looks good, has content that will encourage your subscribers to take action, and that the email is actually delivered to your subscribers. Marketers will use data to improve the quality of their email lists single touch payment from an email could be possible, and email marketing and automation will continue evolving into a dominant powerhouse driving consistent, engaging, revenue producing campaigns that don’t require hours of labor or code to deliver. While it’s unclear which trend or trends will dominate the year, it’s guaranteed that 2017 promises to be the year of the marketer. This entry was posted in Email Lists, Email Marketing, Home and tagged email campaigns, email data group, email list, email marketing lists, email marketing services. Bookmark the permalink.